Our Head Chef Charles-Etienne Prétet (Charly) was born and raised in Paris, where he lived for 30 years. Growing up, Charly spent a memorable part of his life frequenting his Grandparents house on the west coast of France for vacation. Situated on the port of the Atlantic Ocean, this meant being surrounded by amazing seafood and local produce. A passion for cuisine was born watching his Mother cooking in her kitchen, while his knowledge of produce came from observing his Grandfather fishing and growing every kind of vegetable imaginable in his garden. Charly has an outstanding background in hospitality with extensive experience in all fields of the description. He started his carrier 15 years ago behind the bar in various bars and clubs in Paris, he then moved on to managing the floor in highly regarded restaurants to finally opening his own establishment called "CUISTANCE" which was located next to the Louvre. When Charly and his wife Merindah, whom he met in Paris, decided to make the big move back her home country, Australia, they had their heart set on an exciting yet kind of crazy project. 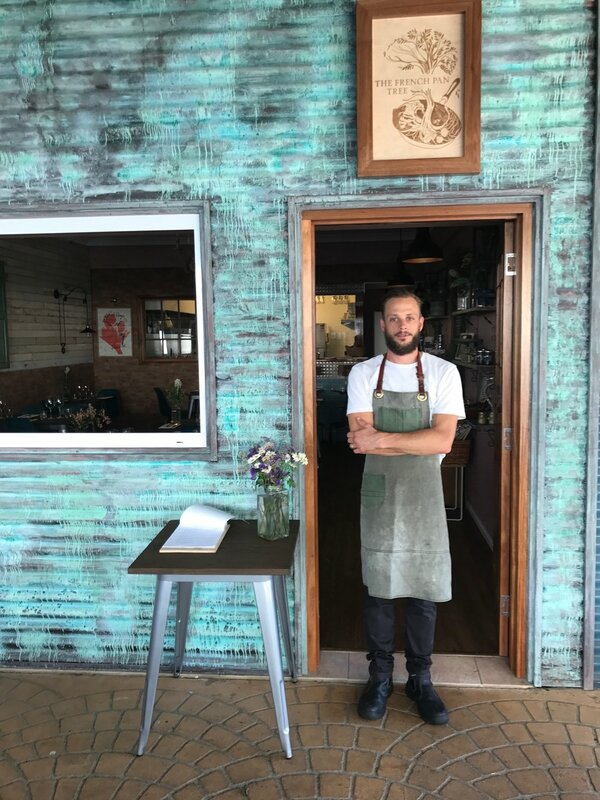 They had and ambitious dream of opening a French Restaurant in Yamba, a small town on the North coast of NSW where Merindah grew up. This is where "The French Pan Tree" was born. Chef Charly is now doing what he calls "French Touch Cuisine", which is a modern approach to the traditional recipes and techniques of French cuisine mixed with the beautiful local produce and influences that surround the area. Having a passionate outlook on nature and the great outdoors, we are also focused on learning how to grow our own food. Charly and the team at The French Pan Tree are working on a Veggie Garden Project on the Family property so we will soon be able to serve our harvest on the plate. "I think that we are very lucky in Yamba to be able to source the best produce at our door step, it just requires time and good tips from the local community".